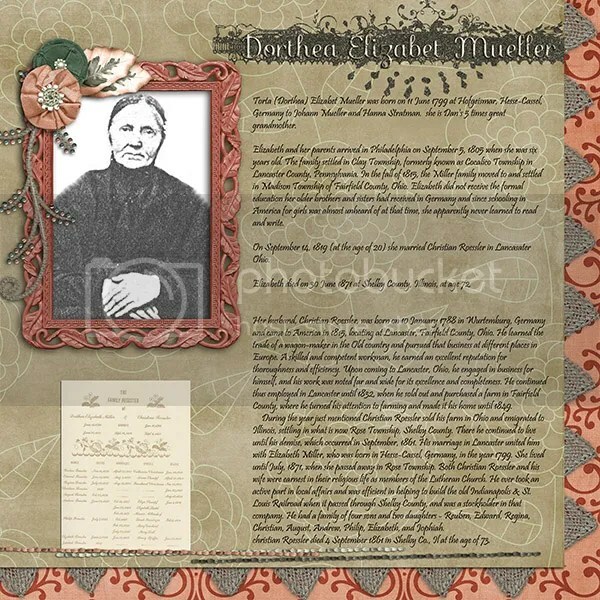 Dorthea Elizabet Mueller is my husband’s 4 times great grandmother on his father’s side. She was born in Hofgeismar, Germany on June 11, 1799. Her parents were John Christopher Mueller (1757-1822) and Anna Franziska (1765-1818) and she was one of 7 children. I discussed Dorthea’s father, John Christopher Mueller in this post. She came to America with her family on September 5, 1805, Dorthea was only 6 years old at the time. The family settled in Clay Township in Lancaster County, PA. In 1815, when Dorthea was 16 years old, her family moved to Madison Township of Fairfield County, OH. Her older brothers and sisters had received a formal education back in Germany, however as schooling for girls in America was not as common in her time. She may have never learned to read or write. 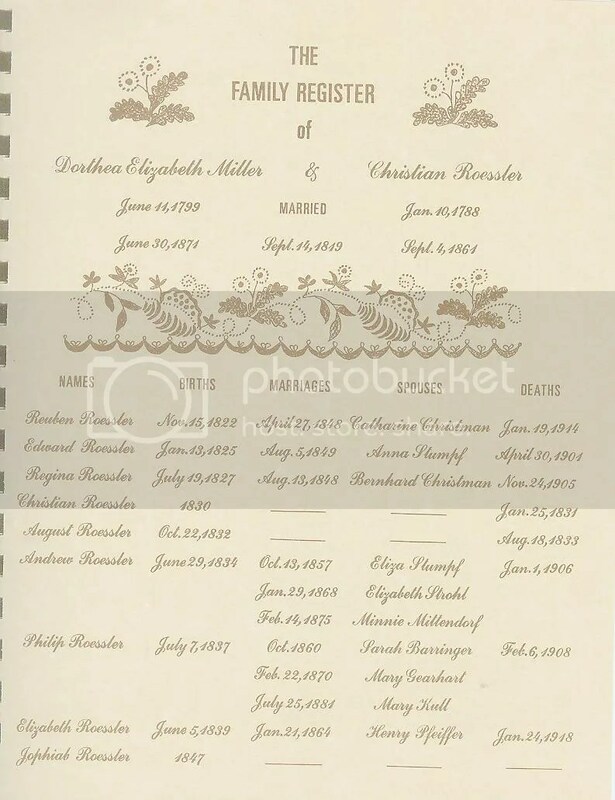 On September 14, 1819, Dorthea married Christian Roessler when she was 20 and he was 31. Christian was born in Wurttemberg, Germany on January 10, 1788 to Andreas Roessler (1757-1818) and Regina Margaretha Haller (born 1764). Christian was a wagon maker by trade when the two met. In 1831 the family moved to a farm in Pleasant Township in Fairfeld County, OH where they began farming. 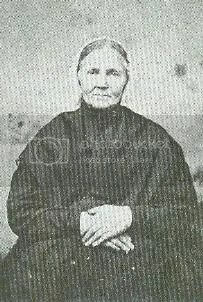 In 1849, when Dorthea was 50, the family moved to Shelby Co, Illinois and settled on a farm there as well. In Shelby Co., Dorthea and Christian helped to organize the St. Paul’s Lutheran Church in Shelbyville. Christian died September 4, 1861 and was the first person to be buried at the St. Paul’s Cemetery. Dorothea died on June 30, 1871 in Shelby Co., IL and was also burried at St. Paul’s.